LED Waves is an American manufacturer of high-end LED lights, specializing in lowering energy costs while improving lighting performance. Our difference? A project management approach that has been developed to meet the needs of ESCOs, should their projects focus on the MUSH sector (municipalities, universities, schools, and hospitals) or on major industrial retrofits. 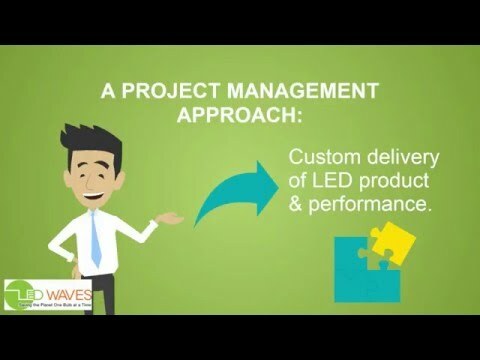 Informed by 10+ years in LED lighting sales, this project management approach comprises 3 key elements that ensure projects’ success and ROI for our clients: an on-site R&D department that gives you access to cutting-edge technology and OEM capabilities, our flexibility as a manufacturer which helps you customize both products and processes, and a strong supply chain that keeps your project on track while meeting high quality standards.